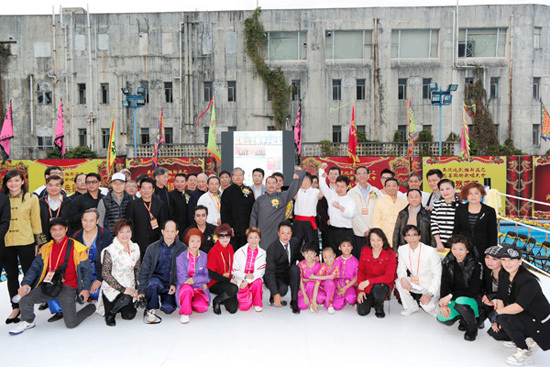 60th Anniversary of the Macau Charity Fight: "Wu" versus "Chen"
Home What's New Resources What's New 60th Anniversary of the Macau Charity Fight: "Wu" versus "Chen"
On January 26th, 2014 a group of Hong Kong and Macau Wu Style Tai Chi Chuan members accompanied by Gatekeeper Eddie Wu Kwong Yu and Sifu Cynthia Wu, went to pay their respects to Grandmaster Wu Kung Yi's grave. 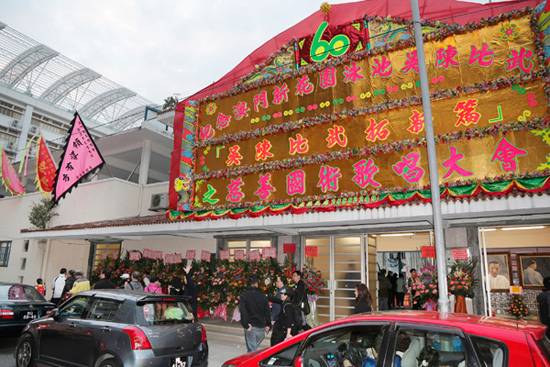 The group proceeded to attend the re-enactment of the New Flower Garden Hotel sponsored 1954 Charity Fight: "Wu versus Chen". The White Crane Disciple Chen Hak Fu had challenged Master Wu Kung Yi, Gatekeeper of the Wu Style Tai Chi Chuan. Wu was age 55, Chen was 35 years old. 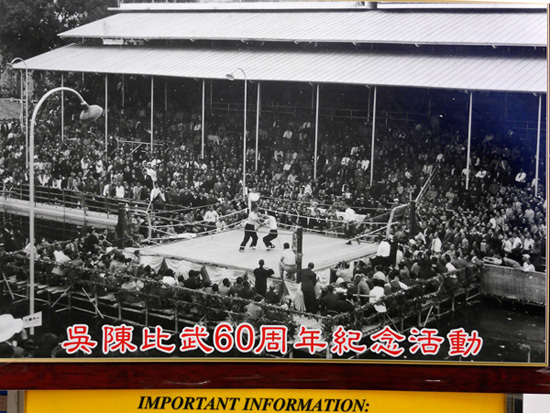 In the opening seconds, the opponent, Chen Hak Fu was struck on the nose, causing profuse bleeding. After exceeding the alloted rest-time, the fight continued, but was cancelled after a low kick violated the rules. The fight was over in less than half an hour but its influence and effect was widespread and began an interest in Kung Fu that lasted for decades. Among those caught up in this interest were a number of writers who soon began producing a new style of martial arts novel. Eventually these became transformed into film versions and, as novels became film scripts, led to the Kung Fu movie craze. 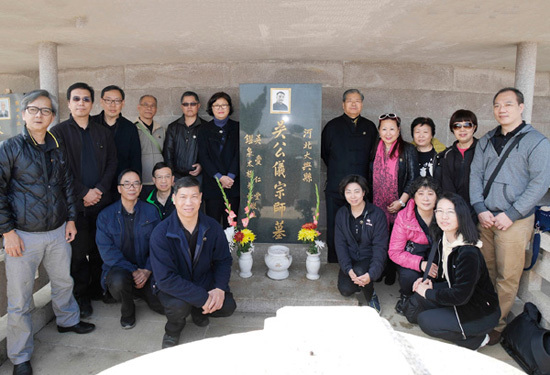 This is what prepared the way for the fame of Jin Yong, the novelist, Bruce Lee, the actor, and those that followed. 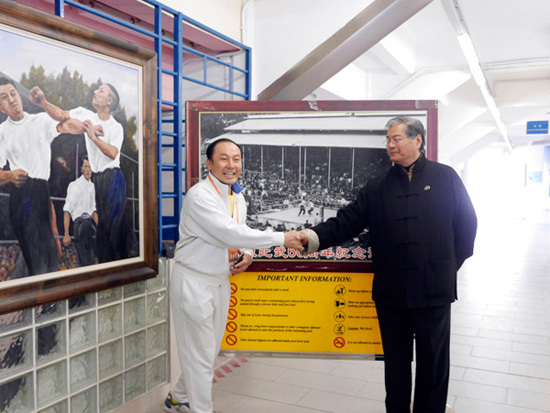 After this spectacle, Wu Style Tai Chi Chuan became even more well-known and spread throughout Southeast Asia." Reference: Wu Style Tai Chi English Gold Book - Wu Style Tai Chi Chuan - Wu Kung Cho (Grand Master)" 2006 - page 73. Translated by Doug Woolidge, including the Classic Text "Explanation of Tai Chi Methodology"